Jedwards International, Inc. @ ChemBuyersGuide.com, Inc. The market for specialty oils has experienced rapid growth over the past 10 years. Demand has been fueled by a consumer base increasingly educated and aware of the health benefits of these materials. Manufacturers and brands in the food, dietary supplement and cosmetic industries are all affected by this trend and have rushed to differentiate themselves from the competition.Marine oils rich in Omega-3 fatty acids (EPA and DHA), seed oils rich in gamma linolenic acid (GLA), certified organic and kosher oils are just a few of the hard to source materials being incorporated into new product launches. Significantly, challenges hinder incorporating these materials into products: cost, quality and availability are all issues. 1.Broad and comprehensive product line. 2.Independent and product specific quality control. 3.Competent technical and marketing support. 4.Custom cleared inventory at a facility we control and manage. 5.Exhaustive logistical network across North America. These advantages allow Jedwards International to provide our clientele witha diverse portfolio of otherwise hard to source, high quality oils with speed, reliability and efficiency. 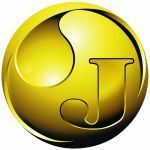 Consequently, Jedwards International has developed a reputation as a fierce competitor with a strong scientific understanding of the products we promote. A strategic partner to vendor and customer alike, Jedwards International brings value and innovation to the marketplace.